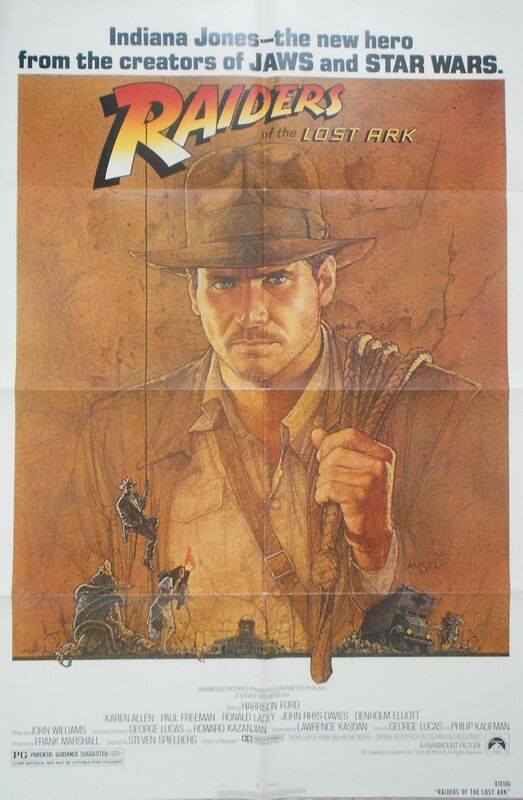 Raiders of the Lost Ark (Lucasfilms,1981) US One Sheet Poster Size 27" x 41"
Directed by Steven Spielberg. Starring Harrison Ford as Indiana Jones. It's 1936 and archaeologist Indiana Jones has been hired by the US government to find the Ark of the Covenant. A wonderful film and the poster has artwork by Richard Amsel. The value of this poster has increased rapidly and some have sold on larger auction sites for over £500!